Greenlight for two important projects announced last week will help protect the past and the future: a road tunnel to protect Stonehenge, the UK’s most iconic ancient site, and Swansea Bay lagoon power that offers the prospect of clean energy for future generations. 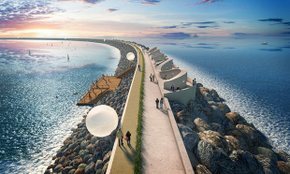 An independent study conducted by former Minister of Energy Charles Hendry has given a greenlight to a £1.3 billion prototype lagoon in Swansea Bay as a pathfinder green renewable power project that would demonstrate the value of building a ‘fleet’ of tidal lagoons around the coast. He believes these would “help deliver security of supply…. and bring real and substantial opportunities for the UK supply chain” and play a key role in enabling the UK to deliver our de-carbonization commitments. These tidal lagoons could supply more than 10% of the nation’s electricity. Tidal lagoons can generate electricity from the natural ebb and flow of the tides. The Swansea Bay project offers the prospect of the UK becoming the world leader in tidal power technology. A report last year from Swansea Bay’s developer, Tidal Lagoon Power forecasts a domestic market for lagoon turbines and generators of £20 billion plus £28 billion for turbine housings and over £30 billion for combined exports. 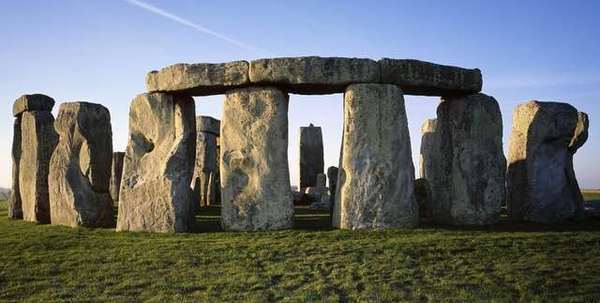 Transport Secretary Chris Grayling has approved the plan for a road tunnel past Stonehenge as part of a £2bn scheme build plans to build a 1.8-mile tunnel under the site and widen the nearby highway as part of upgrading roads between the M3 and M5. However this long awaited tunnel, to help preserve the UK’s most important ancient site, is very controversial not least because the government seem to favour a shorter tunnel. English Heritage and the National Trust support the option for a longer tunnel that would ensure the safety and tranquillity of the site. Many are already calling the short tunnel a ‘monumental mistake’. 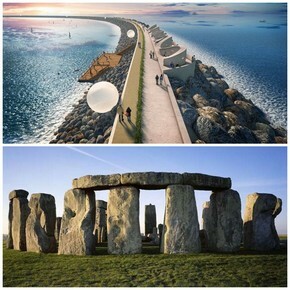 What do you think about the Swansea lagoon power and Stonehenge tunnel projects? Do you welcome the greenlights? Buildingtalk invites you to comment below.